Let’s face it. 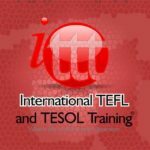 Teaching ESL is just another piece (albeit an integral one) in the puzzle of your thirst for an adventure abroad. Many of us aren’t the beneficiaries of trust funds. We can’t just decide to live in another country with no source of stable income. The silver lining here by fate is that English is our mother tongue and that just happens to be the language of the world. 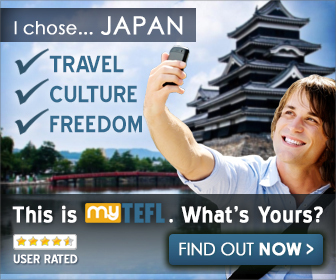 Maybe you’ve already realized this already but at the end of the day a TEFL certification is your ticket to traveling the world and finding work. Teaching doesn’t have to be your life if you don’t wish for it to be. As often is the case. 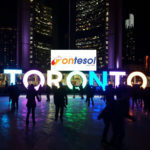 You will certainly look like a tourist when you get to your new ESL destination. It can’t be helped…Everyone has to go through this stage of excitement and curiosity. The great feeling knowing that you’re really out there doing what you set out to do. It feels great to know you’re impacting lives by helping students learn English. If that alone is your motivation to teach ESL then you’re a model teacher. If you’re a 20 something looking for one last adventure/experience before you “start taking life seriously” then teaching is just a source of income for you. You don’t have to like teaching to be a good teacher. It certainly may be a lot harder though if you treat it as “work”. The purchasing power with your teaching salary will easily put you on the same level as those with middle class incomes. In most countries, your salary is more than enough to survive off of and save. For example, in Thailand a meal (50 baht) and a bottle of water (7 baht) is only 57 baht. That is under $2 for a fresh meal to fill the stomach. You will meet other people just like you. People that remind you of your friends back home. Overtime you may become so close with some people that you’ll want to stick around even longer. This is a huge part of teaching abroad. The journey is best walked alone, but in ESL jobs you’ll have a few people that are on the same path as you. You will learn and grow together from the experiences of being foreign in another country. You may end up realizing things about yourself and the world that you would never of fathomed had no you not traveled. What that thing exactly is? You won’t know until you get out there and experience it. Lots of ESL teachers have gone on to do great work outside of teaching. A common one is outsourcing products back home and selling them online. Some have gone on to become actors and models too. If you stick around and network long enough you may just land a sweet job too! 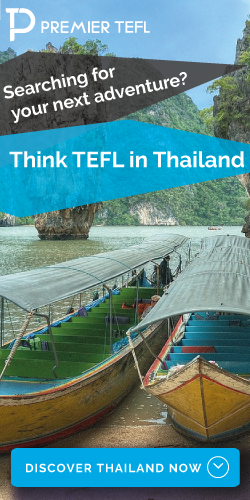 A TEFL certification is just one of the steps you’ll take to finding a job abroad. Getting certified promises much more than just a teaching career. Once you find work and start teaching regularly you’ll fall into a nice work routine. That’s when it will all come down to preparation before classes. If you’re prepared then you will be a good teacher. Your life outside of teaching is what will make it all worth it. Travel around, experience the town, locals and food. You may have a talent for teaching but without any real guidance and training you might as well stand in front of the class for the hour uttering words of nonsense. Is it hard? No. Sure the first day you may be nervous. Especially if you’re new and getting up in front of the class for the first time. You’ll get it no time!